Click Here to view a printable PDF. Below are a few suggestions that will make this a smooth, enjoyable experience. Please direct your parents to this site for additional information. We use tents and chromokey backgrounds to produce the best possible images. Individuals will be looking into a black panel to reduce squinting. Real natural sport themed backgrounds and attractive MemoryMate designs. No photoshopped fantasy look! We want the player to be the star of the photo! 1. 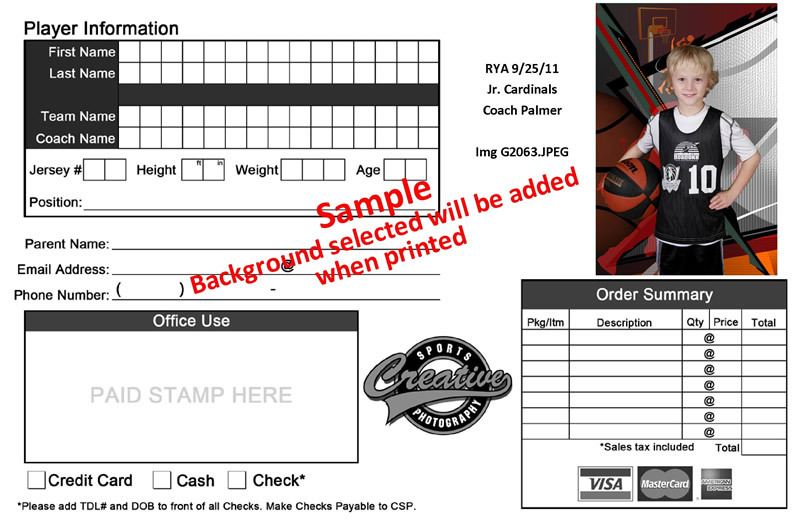 Coach or team rep needs to check in early at customer service to pickup your team envelope, coupons and instructions. 2. Players should arrive early enough to finish dressing; tuck-in shirtails, tie shoes, etc. 3. Your team should be in the individual photo line at your team appointment time. 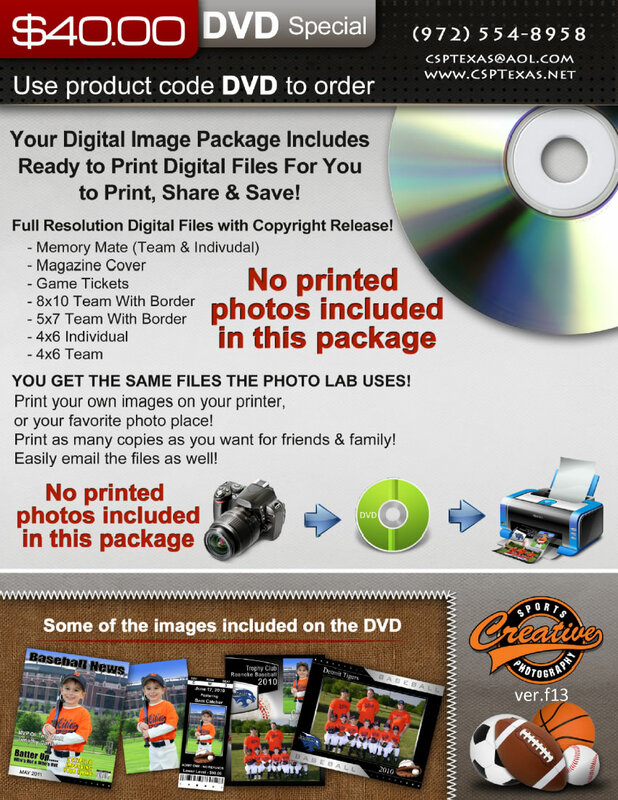 We must start your photos on time so as not to delay teams after yours. Please allow 30min from start of individual photos to completion of team photos. 4. 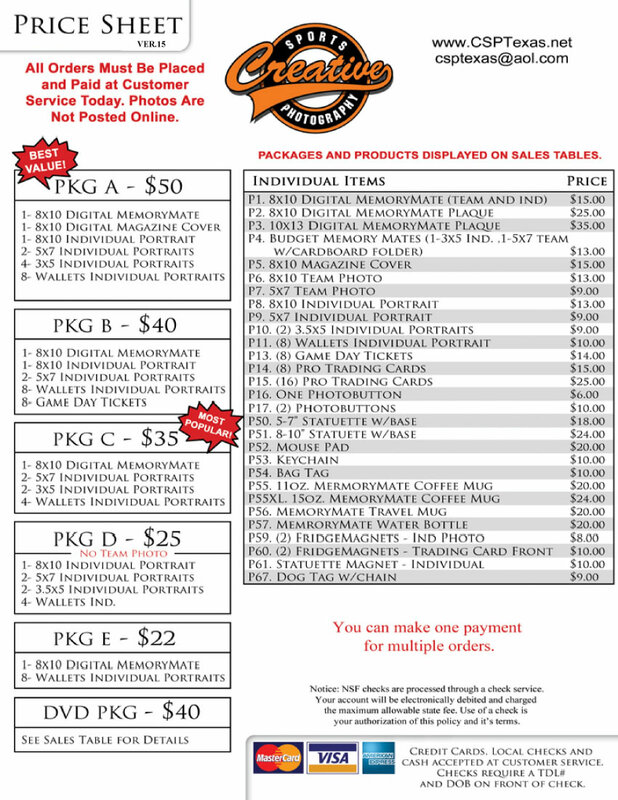 We print individual images on order forms for parent approval. We do not post images online. We are glad to retake if necessary until satisfied. Please have one person at our computer station to pickup all order forms and pass them out to team parents while team photo is being taken. 5. BE SURE YOU PUT THE PLAYERS NAME IN SPACE AT TOP OF ORDER FORM UNDER PLAYER INFORMATION. WE WILL NOT BE RESPONSIBLE FOR REPRINTING ORDERS WITH PARENT NAME IN THE PLAYER INFORMATION AREA.